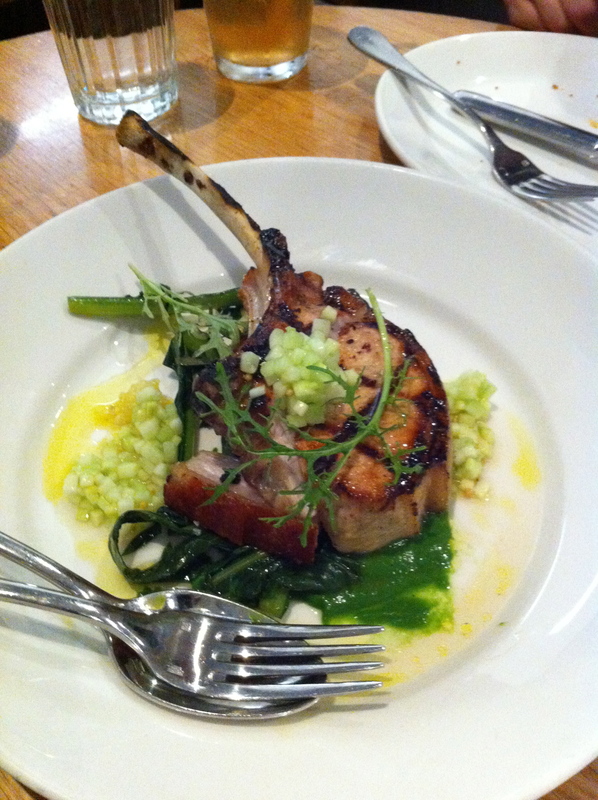 Cumulus Inc. Never Disappoints! | 15,000kms of Food! 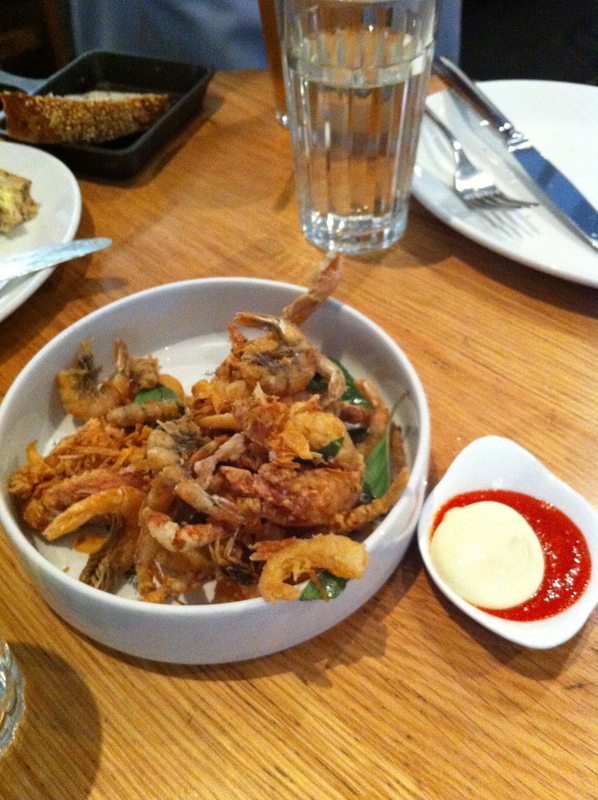 First dish during this visit was the special of the day which was the fried soft shell crab, school prawns, chilli & lime. Crispy salty seafood with a rich tangy sauce – winner! 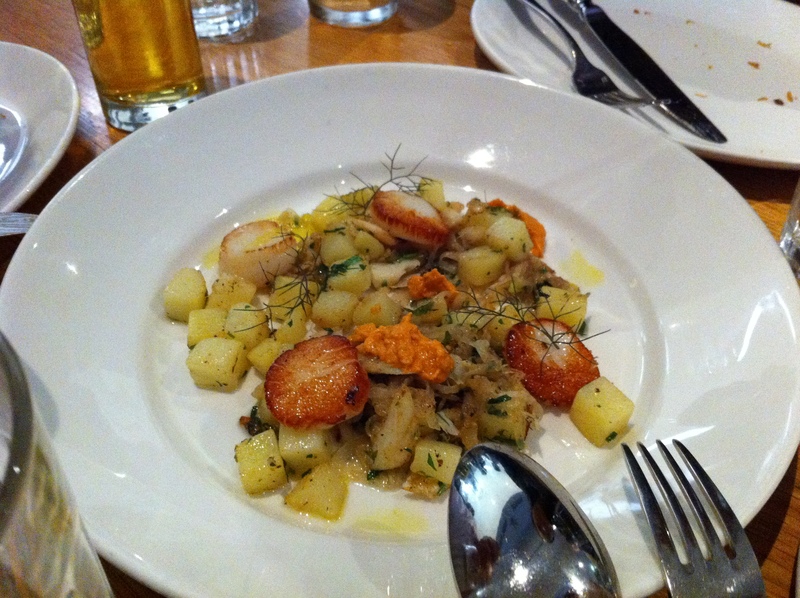 The seared scallops with potatoes were perfectly cooked and tasted delightful. The grilled pork chop with green apple was again well cooked and the green apple was a nice way to cut through the richness of the meat. 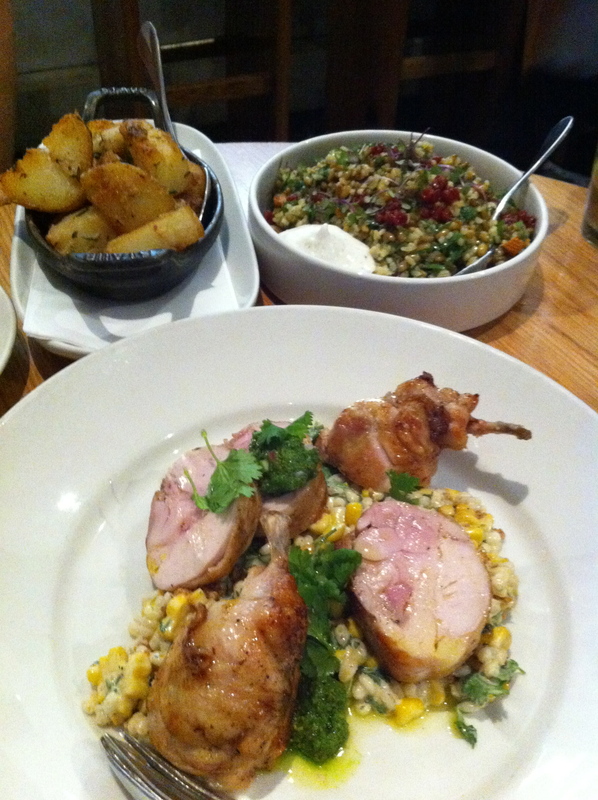 Last item we had was the roast chicken with corn, with sides of roast potatoes and cracked wheat and freekeh salad. Gotta say, the chicken was amazing! And corn is one of my favourite ingredients so it was a perfect little dish. The sides were also very tasty. Another great dining experience makes for a happy diner. Love Cumulus Inc.!